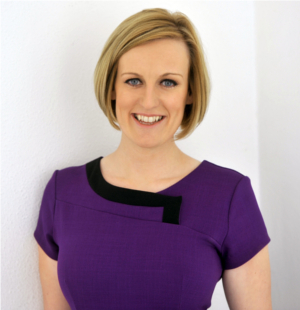 Esteemed business journalist and popular breakfast television presenter, Steph McGovern has been announced as the Master of Ceremonies for the upcoming 2013 Signature Annual Awards. Signature is a charity and leading provider of qualifications in deaf communications, and annually honours those who are striving to break down barriers between deaf and hearing people. Now in its fifth year, the Signature Annual Awards honour individuals, organisations and community groups in categories including Learner of the Year, Teacher of the Year, Organisational Achievement and Community Spirit. Steph will be hosting this year’s glittering award ceremony which will be held at London’s prestigious Bloomsbury Ballroom, central London, on 15 November. She said: “When I was asked to host this ceremony, I didn’t have to hesitate before I said yes. Jim Edwards, Signature Chief Executive, said: “It’s great to have Steph on board for this year’s Signature Annual Awards.